LONDON, Jan. 28, 2019 /PRNewswire/ -- Brazil's Vale, the world's largest iron ore miner, on Friday afternoon reported the collapse of its iron ore tailings Dam 1 at its Feijao mining complex in Minas Gerais state, southeastern Brazil. For perspective, S&P Global Platts, the leading independent provider of information and benchmark prices for the commodities and energy markets, has released this FACTBOX "Brazil's Vale facing critical test after another iron ore tailings dam accident." The dam collapse came a little more than three years after a similar accident at Samarco, a mining and pelletizing joint venture owned by Vale and BHP, which caused one of Brazil's worst environmental disasters, with a mud slide claiming 19 lives and causing production disruptions that are still reverberating. As of 10:00 local time Monday, 60 fatalities had been confirmed from the Dam 1 accident, with up to 300 people listed as missing. At S&P Global Platts, we provide the insights; you make better-informed trading and business decisions with confidence. We're the leading independent provider of information and benchmark prices for the commodities and energy markets. Customers in over 150 countries look to our expertise in news, pricing and analytics to deliver greater transparency and efficiency to markets. 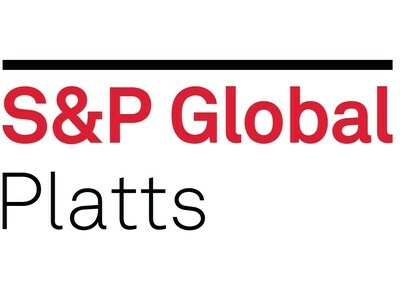 S&P Global Platts coverage includes oil and gas, power, petrochemicals, metals, agriculture and shipping.